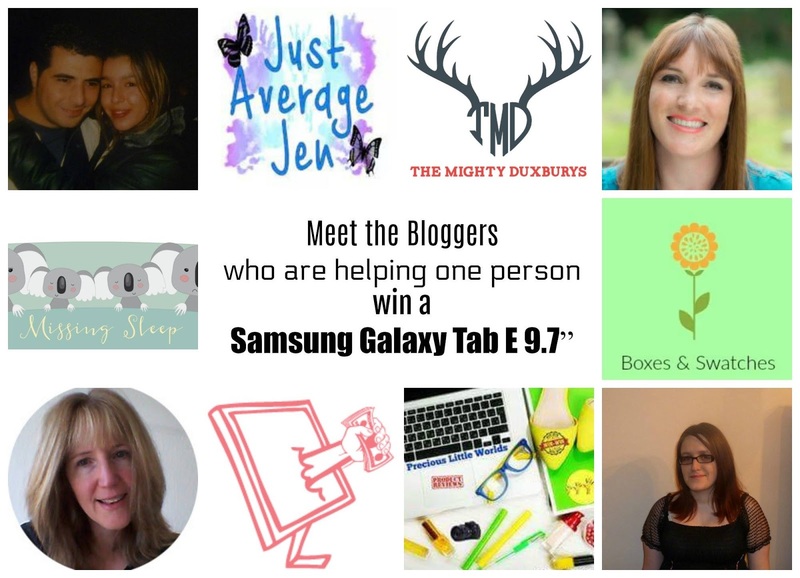 I have an absolutely fabulous giveaway for you from 9 of my fellow bloggers and me. As we head towards the long summer holiday, anything that helps keep the kids occupied, or me with a glass of wine in the garden for that matter, has to be a real asset! So we have teamed up to celebrate the start of summer by offering one of our lucky readers the chance to win a Samsung Galaxy Tab E 9.7. For those who are new to collaboration giveaways, they offer us bloggers a chance to giveaway a bigger and better prize than we could alone, with each blogger contributing to the prize fund to offer you an amazing gift. So how can you be in with a chance of winning the Samsung Galaxy Tab E 9.7? What is your top tip for keeping cool in the summer heat? Entry is via the Rafflecopter widget and make sure you pop your answer to the question above in the comments box below this blog post. Terms and conditions apply. UK entrants only. The giveaway ends at 11:59 pm on Friday 21st July. This prize is being administrated by Sarah of UK Bloggers / Life in a Break Down for any issues please contact her at sarah@uk-bloggers.co.uk. For full terms and conditions please view the Rafflecopter widget. "Quick Tips To Freshen Up Your Living Space This Summer"
"New Releases, Free & Bargain Books Link-Up Week 26 2017"